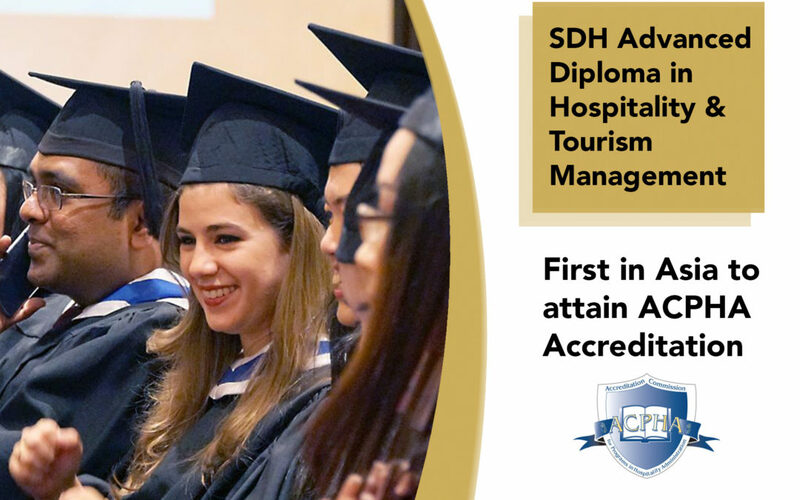 SDH Institute has been successfully granted accreditation by ACPHA (Accreditation Commission for Programs in Hospitality Administration) of the United States for our Advanced Diploma in Hospitality and Tourism Management program for the full period of seven years. We are the first education institute in Asia to achieve the ACPHA accreditation. This new accreditation again affirms SDH Institute’s high standards of academic quality and decidedly boosts the recognition of SDH’s qualifications internationally. Our Advanced Diploma in Hospitality and Tourism Management (ADHTM) program now boasts double international accreditation – ACPHA, USA, and IOH, UK (Institute of Hospitality) – which differentiates us from the other hospitality programs. Besides the SDH Advanced Diploma scroll, our ADHTM graduates will also receive a personalized “Certified Hospitality Graduate” certificate from ACPHA. This will facilitate our graduates’ progress to higher studies at universities around the world as well as significantly improve their employability in the highly competitive hospitality and tourism industry. 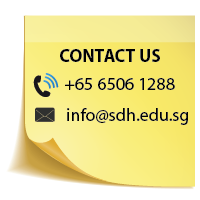 This voluntary accreditation effort demonstrates SDH’s strong commitment to our students and graduates. We will continuously strive to benchmark against great hospitality management programs globally to improve our experiential and practice-oriented program offerings. Accreditation Commission for Programs in Hospitality Administration (ACPHA) is the main third-party nonprofit organization in the United States that evaluates and accredits hospitality administration programs at both the associate degree and bachelor’s degree levels. Accreditation is a status granted to an educational institution or a program that has been found to meet or exceed stated standards of educational quality. Accreditation provides public assurance that a program in hospitality administration is one of quality; and further provides guidance to the program in the continued improvement of their educational offering and related activities. It promotes higher educational and ethical standards of professional education and enhances the public understanding of the hospitality field. Only educational programs that meet the high standards of ACPHA gain accreditation. Their evaluation process is rigorous and includes both self-evaluations by the program under consideration as well as an evaluation done by colleagues in the industry, with the results examined and the final decision made by the twelve-member commission comprising hospitality educators and executives from the lodging, restaurant and hospitality industry.